Scroll down to see all the colours available! 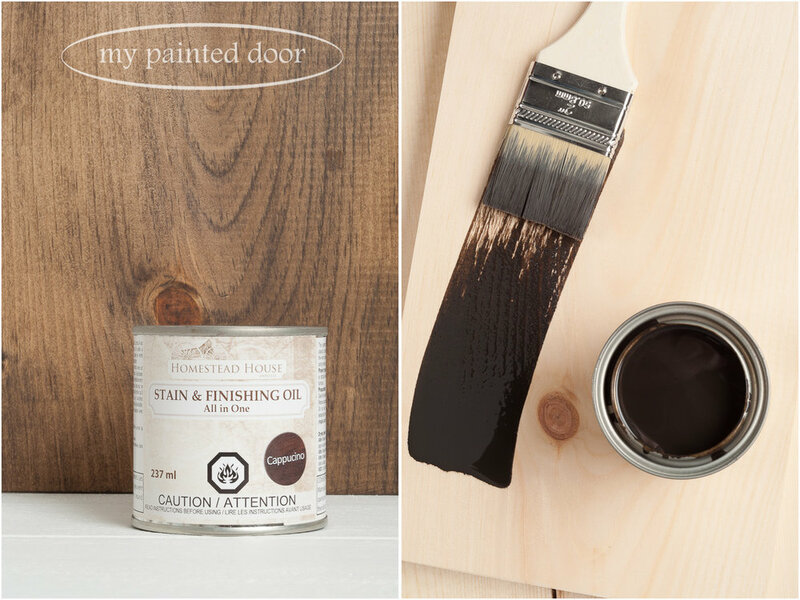 Our Stain and Finishing Oil is your go to solution for bare wood to show off the grain, yet change the colour to your desire. It adds colour and a sealing oil all in one step. It is perfect for high traffic areas such as table tops and flooring. Very easy to use, minimal odour and Eco Friendly! It has a combination of natural oils and resins that penetrate into the wood fibers to create a durable, scratch resistant, waterproof finish. It does not leave a surface film that sits on top, rather it soaks in and becomes part of your wood. It is ideal for wooden table tops as it has excellent resistance to abrasions and can be washed over and over again! Stain and Finishing Oil can also be used on top of a painted surface. This is a highly concentrated oil blend so a little will go a long way! This container will cover what 1 litre of comparable stains do on the market giving you 2 to 3 times more coverage than any water-based stains. Our Stain & Finishing Oil is composed of plant products, safflower oil, tung oil, linseed oil, vegetable wax, safe odourless mineral solvent and cobalt free siccative which means effective drying without toxic cobalt dryers.